This is my choice for a great read. Goodreads: Lucy can’t wait to spend the summer at the lake with her best friend, Mikayla. But when Jackson, the boy she’s been avoiding ever since he rejected her, reappears in her life, Lucy wonders if this summer to remember is one she’d rather forget. Mikayla’s never had much luck talking to boys, but when she (literally) runs into the cutest guy she’s ever seen, and sparks fly, she thinks things might be looking up…until she realizes the adorable stranger is the same boy who broke her best friend’s heart. 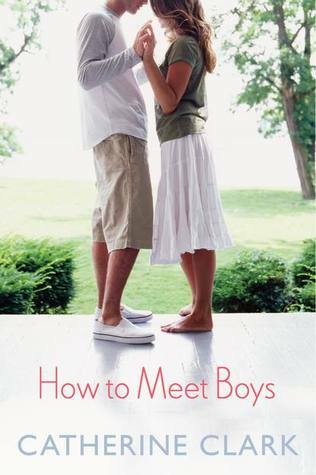 This entry was posted in Just An Opinion and tagged Catherine Clark, Coming Soon, How to Meet Boys by opesopinions. Bookmark the permalink.